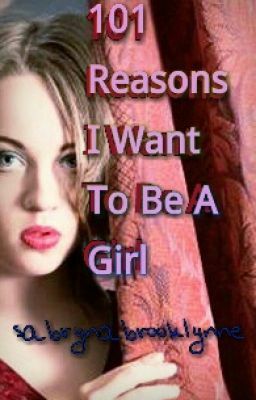 The character writing this book is a fictional character I created but some of his reasons for wanting to be a girl are based on conversations I have had with several real gender dysphoric teen males. Some of them come from a list of responses from some of my fans. A list that was narrowed down with help from a guy who desperately wants to be a girl but that can't because his family would completely disown him if he tried. Israel "Izzy" Robertson this is for you. If any readers have suggestions of other reasons leave them in the comments. © January 2015 by Sabrynabrooklynne. All rights reserved. No part of this publication may be reproduced, distributed, or transmitted in any form or by any means, electronic or mechanical, without the prior written permission of the author, except in the case of brief quotations embodied in critical reviews and certain other non-commercial uses permitted by copyright law. .